It’s been said that music is the universal language. 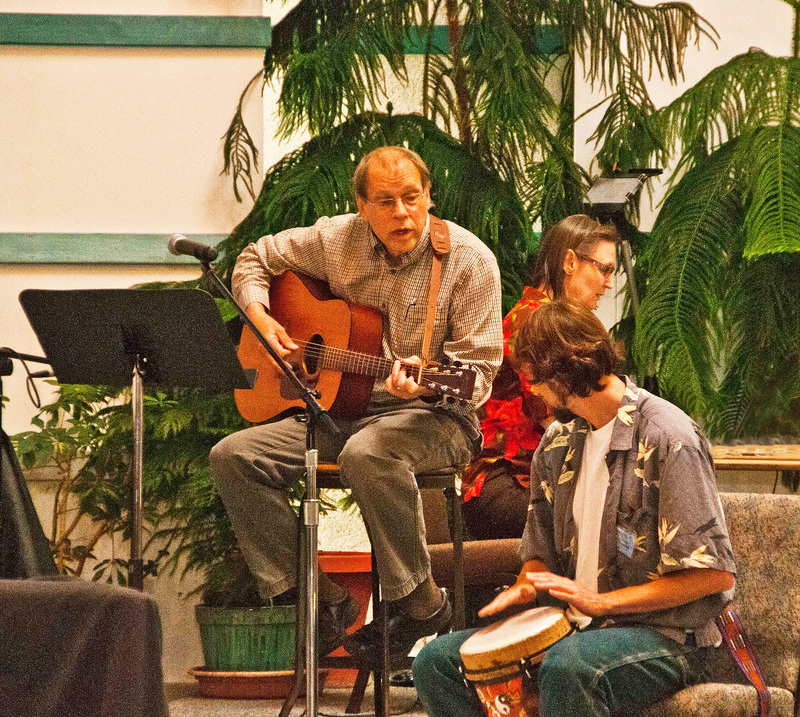 It is only fitting then, that Unitarian Universalism encourages musicians in congregations to express themselves musically using many different resources — through different styles, modes, and instruments — encouraging people to express the inexpressable. Here at UUCWC, I like to think that the music in our worship services glues together the sermon,readings, Story for All Ages, and other aspects of the service through sound, silence, and rhythm. 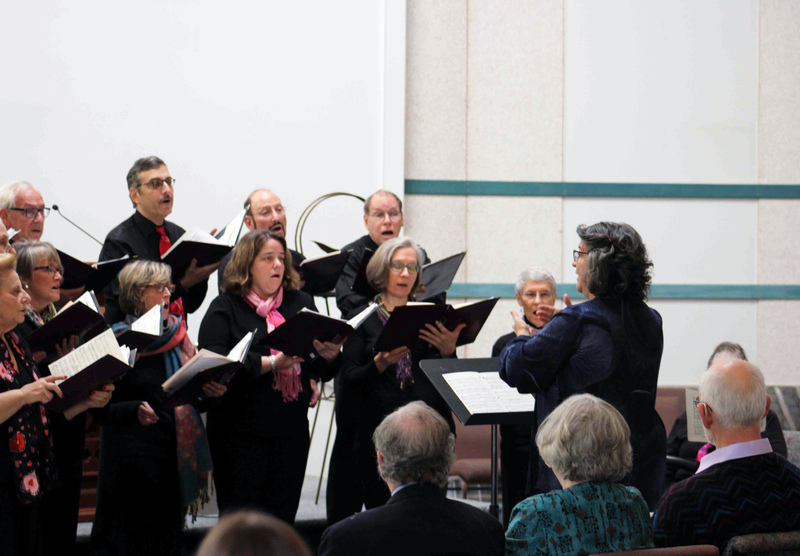 Through hymns, choral singing, instrumental offerings, and musical responses, we can share the unique spirit in each of us through participating in, and/or listening to, beautiful music. 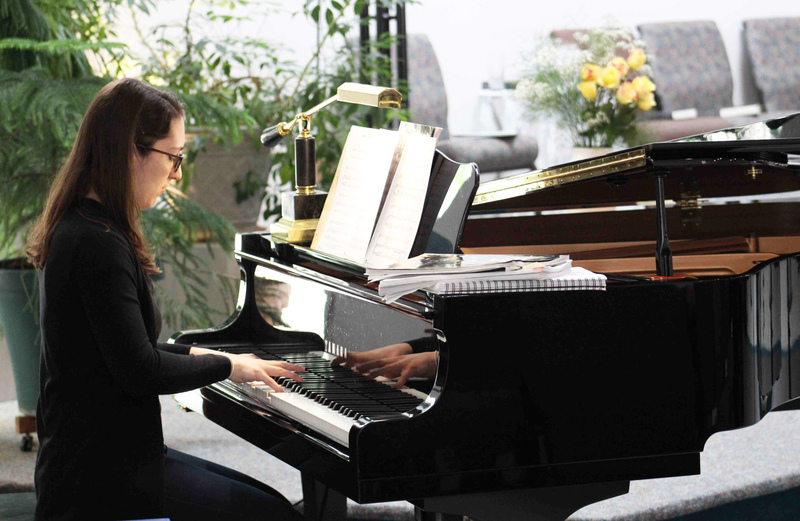 Instrumentalists who share their music with the congregation work together in small groups, help to accompany the choir, or play solos. Some instrumentalists haven’t played in years and trust us with their “comebacks.” Whether playing solo or in a group, someone can explore different ways to share music without words to uplift and make our hearts soar. Instrumental music may be the purest form of this universal language. You might not have thought of it this way, but the Crossing Chorale is one of the most faithful and longstanding shared ministries in the church. 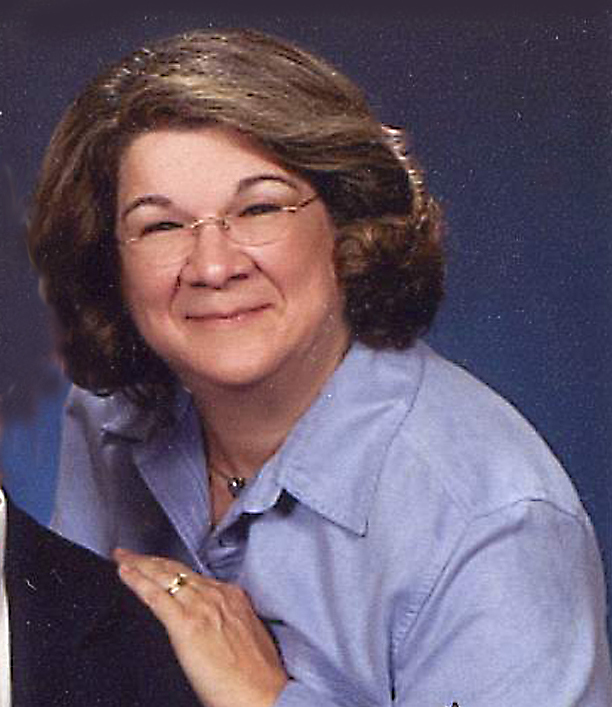 Each week, its members join together to nurture themselves and to prepare to nurture the congregation through singing. They learn about music theory, voice production, the art of choral singing, and musicianship. More importantly, they learn how to work together, listen to each other (musically and personally), the art of give-and-take, support each other, and have a lot of fun. As their director, I am proud to be able to empower them to minister to the congregation through music. Each year, I know you’ve witnessed how they have grown and are able to do more than they ever thought they could musically. Some of the people in choir cannot read music. Most have never sung professionally. Most have never sung a solo. 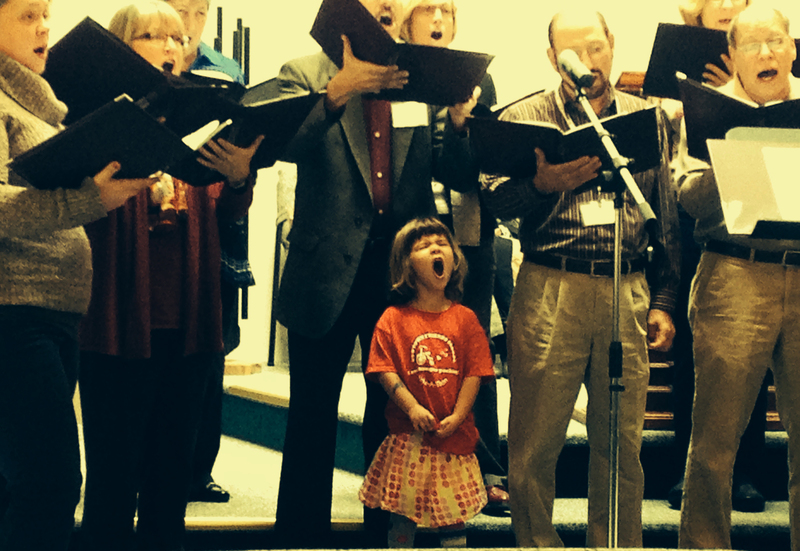 Choral singing exemplifies what Unitarian Universalism is all about. Each individual in the choir is an integral part of the whole musical experience. Through this collective effort, the choir (and each singer) is stronger and better when working as a group for a common goal. So, please don’t think we don’t need you. If you like to sing and feel you could contribute to the musical life of the church, come join us in this vibrant shared ministry. It is a commitment to come to rehearsals on Thursday nights from 7:30pm to 9:00pm and to sing in both services a few Sundays a month. However, I guarantee that the commitment will be worth it — and even fun — and it will help the congregation to experience spirit and community through song. 10. Intellectual stimulation — when you make music, you are using both sides of your brain. 9. All those tenor jokes will suddenly make sense. 8. You’ll learn how to sing in your range, not just the soprano melody line. 7. Guaranteed seating when the church is crowded. 6. If you think singing in the shower sounds good, just wait until you’ve been singing with us for a few weeks. 5. Every time you sing, an angel gets his/her wings. 4. Choir parties — they’re fun! 3. They don’t pass the collection plate in the choir. 2. When the minister is “preaching to the choir,” the minister will be preaching to you. 1. You’ll meet some awesome people and make your spirit soar.